So the 2nd day was as filled with brainiac conversations as day one…and most hush hush under NDA. However, I was able to get shots of a few more slides today that were not under NDA. Oracle has been recognized in the Gartner Magic quadrants in several areas related to integration & SOA. 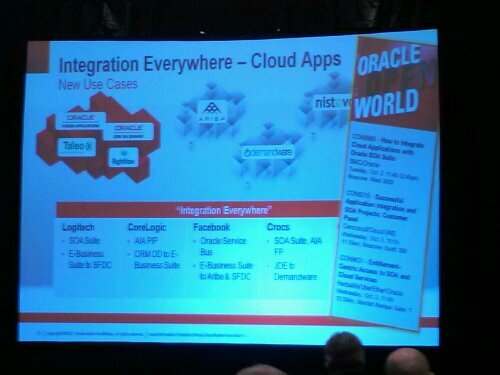 You will see this as a major theme at OOW2012 – “Integration Everywhere”. 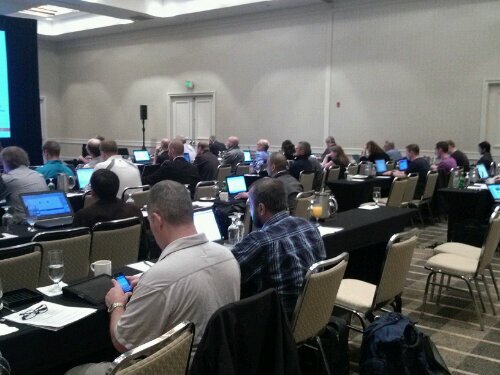 Lots of sessions related to apps and the cloud. Well, you have to have something about Big Data. What is Big Data? Opinions vary. 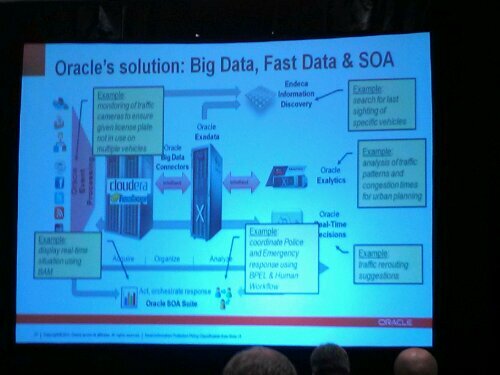 At OOW you will hear that there is Big and there is Fast. 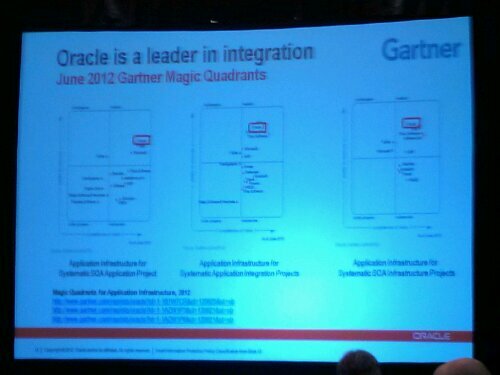 Oracle believes they have constructed solutions that handle both. 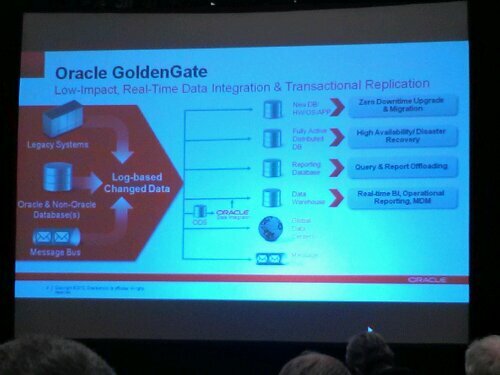 Have you heard about Oracle Golden Gate? I have. My current client even did a pretty decent POC on it. 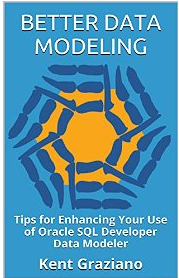 Basically it is the newest approach to streaming and replicating data for a variety of use cases. 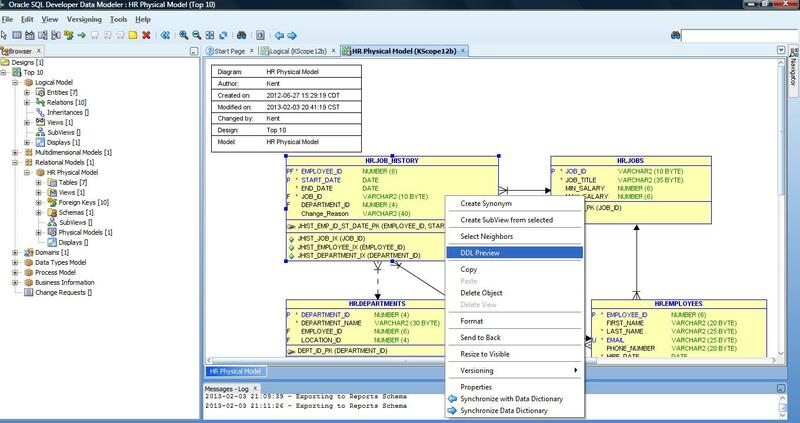 It does replace Oracle Streams as the approach of choice for real and near-real time data movement. 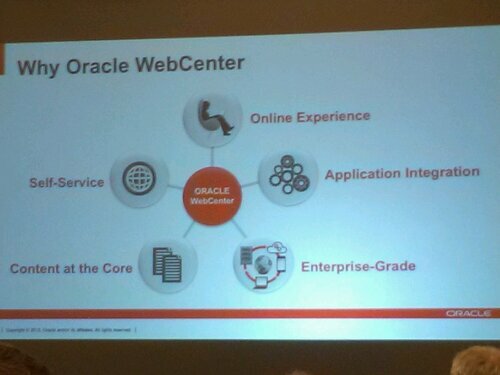 The evolution of Oracle Portal – meet Oracle WebCenter. My good friend JP came an talked to us about Big Data and did this great drawing about the architectures and where all the parts, tools, and engineered systems fit in the overall picture. Pretty cool. As you see below – no PowerPoint slides were used. 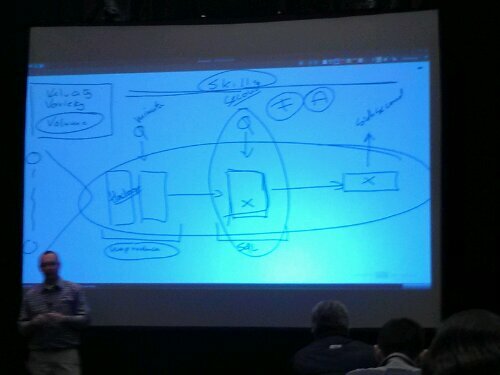 Instead he used a tool called Paper Show and drew as he talked (like the old days with transparencies). Here is just a shot of all the ACE Directors hard at work listening to a session, asking questions, pondering, taking notes, pictures, and of course Tweeting up a storm. So that is it for my very first ACE Director meeting. 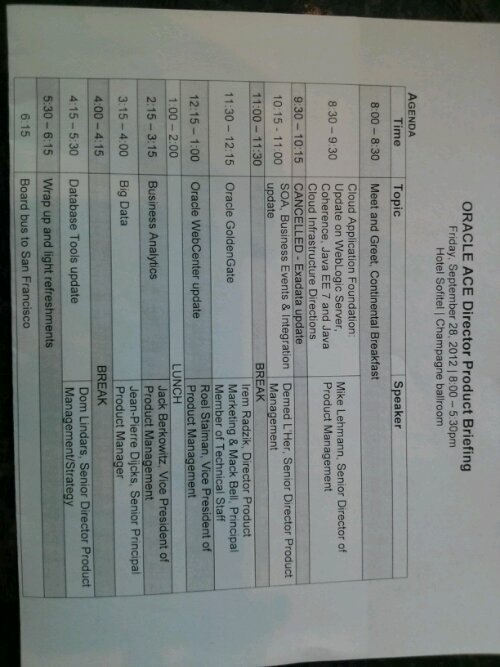 Thanks to OTN and Oracle for putting this on and letting me participate. Quite the learning experience. On to OOW and the Oracle Music Festival (with a rest for my brain first on Saturday).